In Hong Kong we changed our pace. 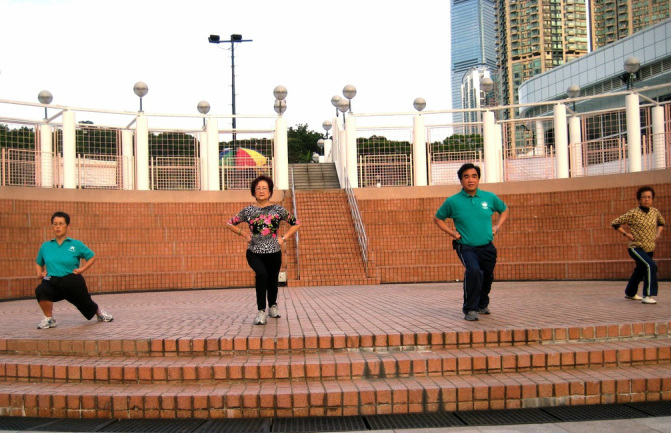 We walked from our hotel before 6AM and met at Kowloon Park where we joined Christina and her assistants where we joined them for a nice Luk Tung Kuen workout. Although it was early in the day, we were drenched from the high humidity. Everyone was very nice and invited us to Yum Cha at a nearby Dim Sum restaurant. Too bad our dear friend, Evelyn, who was preparing for our Luk Tung Kuen Hawaii meeting with Master Hahn Kinh in Hong Kong was delayed in Europe due to the volcano eruption in Iceland.